Lung cancer is one of the top most common types of cancers in the world. So common, in fact, that it’s been estimated that 1 out of every 14 people in America will be diagnosed with lung cancer, according to the US National Cancer Institute. Lung cancer has even surpassed breast cancer as one of the most common cause of cancer related deaths for women. Prevention and early treatment can save lives. Be aware of the risk factors and become familiar with the warnings signs might save your life. Air Pollution – Prolonged exposure to high levels of air pollution can increase your risk of developing cancer. 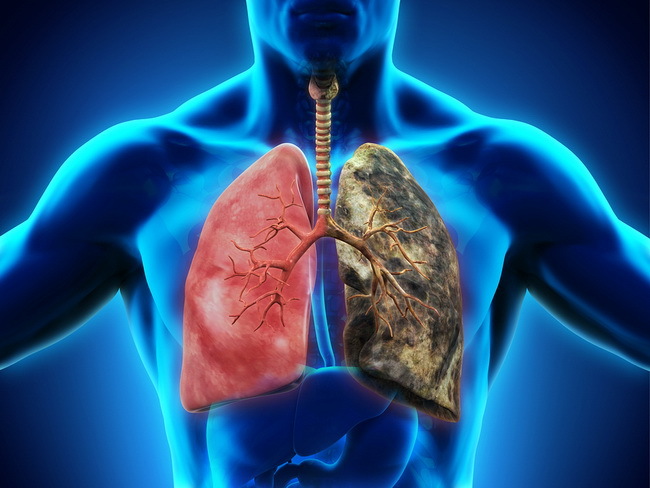 Age – Less than 3 percent of people under 45 develop lung cancer. If you are over 65, you should be aware that almost 70 percent of those diagnosed with lung cancer are over 65. If you are over 45 years of age, you should be extra aware of the early warning signs. Smoking – Approximately 90 percent of lung cancer cases are the result of tobacco use. Your risk increases the longer you smoke and the more cigarettes you smoke. Smokers who use two or more packs of cigarettes per day have a 1 in 7 risk of developing lung cancer. Passive Smoking – Tobacco smoke is loaded with carcinogens, and you breathe those in anytime you are near those who are smoking. Lung Disease – If you have COPD or other types of lung disease, or scarring of the lungs, your risk of cancer is increased. Asbestos Fibers or Chemical Exposure – Although asbestos has been banned in most countries, it was widely used until recently. You may have come into contact with asbestos and not been aware of it. Also, exposure to certain chemicals such as nickel, coal, silica, and arsenic will also increase your risk of developing this deadly cancer. Radon Gas – This is a natural, radioactive gas that is the product of uranium. It is odorless, invisible, and can come through the soil, into the foundations of your house, and then enter your home and you won’t be aware of it. You should have your home tested for radon gas. Heredity – If you have a family history of lung cancer, you will also have an increased risk of developing cancer. Although the early warning signs of lung cancer often seem insignificant, it is important that if you have any doubts, have your doctor check and confirm whether or not you have lung cancer.